SHAKTI ENGINEERS have now started manufacturing SPIRAL ELEVATORS which so far are not so popular in India. The main advantage of spiral Elevators is that it can convey powders, small parts, vertically without occupying valuable space. In a way it helps you to expand vertically. Please contact us for these items along with your problems. We hope we will definitely find a solution. Our other products are Vibratory Sieves, Tables Feeders, Bowl Feeders, Rotary Vibrators, Geared Motors etc. HAKTI ENGINEERS have now started manufacturing SPIRAL ELEVATORS which so far are not so popular in India. The main advantage of spiral Elevators is that it can convey powders, small parts, vertically without occupying valuable space. In a way it helps you to expand vertically. Many functions are carried out by these Elevators : To carry the material vertically within shortest available space. Wet material fed at the bottom can be dry when it reaches the delivery point. In many a process, big area is occupies for drying the material. Re Cycling of Material. In pulverizing process, at the output certain fineness of powder is necessary. You can re-feed the bigger particles, after sieving to the pulverize, automatically. Thereby increasing the efficiency of the entire operation. This is just one example of the benefits of a Spiral Elevator. Please contact us for these items along with your problems. We hope we will definitely find a solution. 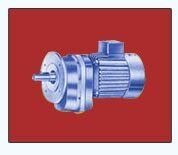 Our other products are Vibratory Sieves, Tables Feeders, Bowl Feeders, Rotary Vibrators, Geared Motors etc.